In early September in Delhi, India, the William Davidson Institute at the University of Michigan and Miller Center for Social Entrepreneurship at Santa Clara University launched “Closing the Circuit: Accelerating Clean Energy Investment in India.” The event included round-table discussions with enterprises and investors on how they might implement some of the ideas presented in the paper. One theme that emerged is that the challenges facing enterprises in the clean energy industry in India and the lessons they are learning are not unique to either the clean energy industry or, indeed, to India. In fact, some of the findings from our research reflect patterns that can be observed in any nascent industry. 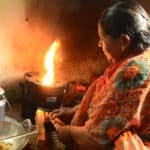 While the context of providing access to energy in India has its own unique characteristics, what we know about how industries develop might help guide investment and provide some clues as to what might come next. After interviewing several enterprises in the Energy Access India (EAI) program – funded by USAID from 2015-18 and implemented by Miller Center and New Ventures India – we observed a pattern emerging in terms of how these companies evolved. There were three distinct stages of development: an early initial focus on a compelling value proposition; a stage of vertical integration where a company takes on additional supporting activities; and a stage of moving these activities outside the enterprise by outsourcing partnerships to specialize around the enterprise’s core competencies. In the “early focus” stage, enterprises develop a value proposition that targets a specific pain point for a specific customer segment. Hopefully they’ve co-created this value proposition with those customers, and it is something that creates value for them. Enterprises will likely see some early success, as the product precisely meets the needs of these customers and they have the ability and willingness to pay for it. Once enterprises seek to grow beyond this stage, they may be addressing a different customer segment, or operating in different geographic regions where the value proposition they’ve developed doesn’t fit quite as well. This may require widening their offering, by adding a consumer financing facility, developing new distribution models, offering after-sales service, etc. In a developed industry, partners would exist to undertake these activities. However, in nascent industries such as the clean energy industry in India, these partners often don’t exist, and enterprises must do it themselves. It’s helpful to understand why these partners may not exist in the early stages of an industry’s development. Providing inputs or services in these contexts often requires the creation of “specific assets” – investments that have extremely limited and specific uses. For example, if there is only one vendor of household appliances serving a particular region of rural India, developing an entirely new distribution network for household appliances as a standalone business is unlikely to be profitable. At the price that the distributor would have to charge to cover their cost, it would be cheaper for the vendor to build this capability themselves. However, enterprises often can’t continue to be experts in everything as they grow. For most enterprises, the next stage of growth is going to require focusing on their core competencies, executing at higher volumes that generate economies of scale, and developing partnerships that are optimized around providing inputs or supporting services. If the enterprise has been successful in demonstrating the possibility for commercial viability, it is possible that others have recognized the opportunity and have entered the market. Now providers of supporting inputs and services look at the market and see multiple potential clients, and that mitigates the risk of their investments. Simpa Networks is a great example of this type of evolution. The enterprise started out as a provider of solar home systems. As it developed its distribution network, it launched consumer financing products that enabled a greater number of customers to purchase the product. It also began providing a range of appliances that increased the use of energy, thereby increasing demand for its core product. Through this process, the enterprise has become an expert in understanding consumer needs and providing solutions to meet these needs through an extensive distribution network that reaches the last mile. Rather than replicating this integrated model everywhere, it now seeks to optimize its strategy around this core competency to become the leading distributor of household appliances to the last mile, regardless of where the energy to power them comes from. In effect, Simpa Networks is outsourcing the electricity generation component of its business. This kind of specialization only becomes possible when there is a sufficient number of energy providers in the market. Because they are focused only on electricity generation, and are serving smaller geographic areas, they are able to do so more efficiently than Simpa Networks can. This demonstrates another interesting twist – the subject of an enterprise’s early focus may not continue to be its core competency as it grows. This evolution from early focus to vertical integration to specialization is nothing new. It is exactly how firms operate in nascent industries. While these models can provide guidance for enterprises and help inform their strategies, it is also important for impact investors and the development community to recognize these dynamics of how an industry matures. It can be tempting for these stakeholders to focus on finding the next new technology, the next business model innovation, or a new financing vehicle that will unlock sustainability and scale. What isn’t as obvious is the need to invest in business-to-business enterprises across the value chain, facilitating specialization and optimization or improvements in the legal environment that make it easier to enforce contracts between partners. In our discussions with investors in the clean energy space in India, we noted that several are beginning to look at whether their investments are catalytic for the industry, as well as representing good investment deals. In “Closing the Circuit”, we also identify some broad categorizations of the Energy Access India portfolio companies in terms of the business models they are pursuing. While the distinction between business models may be fuzzy, we saw three distinct patterns emerge: pure-play energy providers, complementary products and services, and integrated productive use. Pure play energy providers are focused on the generation of electricity at volumes that are profitable. This may mean providing a combination of solar home systems, rooftop solar and solar pumps. These companies leverage economies of scale across these different customer segments to reduce costs and become commercially viable. For example, Argo Solar provides rooftop solutions for profitable customer segments including commercial and industrial customers. It also engages in government tenders for solar pumps in rural markets, and drives economies of scale across both markets. Complementary products and services enterprises focus on developing a variety of products, which may include both the generation and use of electricity. These companies leverage economies of scope to reduce costs and become commercially viable. This means that production of a second product can be done more efficiently because the company is also producing the first product. Grassroots Energy (GRE), for example, is a biogas production company in the EAI portfolio. It uses animal waste to produce gas that is used as a backup energy source for mini-grids rather than diesel generators. To do this, it needs to collect animal waste from local farmers. The residue that remains after the production of biogas, with some addition of nutrients, is an effective fertilizer. GRE can produce this fertilizer product much more efficiently than a standalone business can, because it already collects the waste and processes it through bio-digestion in the course of generating energy. Integrated productive use enterprises provide access to energy, but also focus on promoting and facilitating productive use of that energy. This is typically required in contexts where ability to pay is low, and productive use of energy has economic benefits that increase customers’ ability to pay. Without productive use to drive up utilization of the energy generation assets, typically mini-grids, these businesses would not be viable. These models require deep learning about how such communities operate, what their energy needs are, and how to identify and nurture productive use applications. Companies implementing this model leverage economies of learning to reduce the cost of each subsequent implementation. Mlinda is an example of this model. It installs mini-grids that provide a higher-quality and more reliable source of energy for rural communities in Jharkhand, India. It also invests significant effort in helping the local community to develop micro-enterprises, with focuses that range from producing mustard oil, to rice hulling and poultry production. 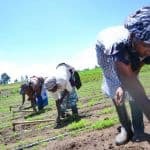 Of course, this is only economically productive if there is a market, and so Mlinda also creates market linkages to enable the community to sell these products. As it replicates this model, Mlinda is developing the knowledge assets that will enable it to reduce the cost of community engagement over time. We spend a lot of time focusing on the unique aspects of working in resource constrained environments. Indeed, it is critically important to understand the inherent nuances. However, these examples demonstrate that despite the vast differences in context, some of the business principles we are familiar with in other industries can be observed in the energy access space. That creates the possibility that we might be able to look to history, and to other industries, to anticipate what might happen next in these markets. Further, it may help entrepreneurs, investors, funders and practitioners to gain a deeper understanding of what they should do next to help accelerate these industries to a point where they are mature, competitive and able to attract sufficient commercial capital to become self-sustaining. Colm Fay is Project Management Analyst of Energy and Scaling Impact Initiatives at the William Davidson Institute. Photo courtesy of Abbie Trayler-Smith/DFID.